Finally got a chance to take a look at Kursk - Battle at Prochorovka, by Yobowargames. This hexes and turns war game can be given the "lite" label because of the simple, no-fuss mechanics and game play. However, taking into account the inspiration from Avalon Hill/SPI taken by Yobowargames, Kursk strikes me as a delightful compromise between playability and realism. 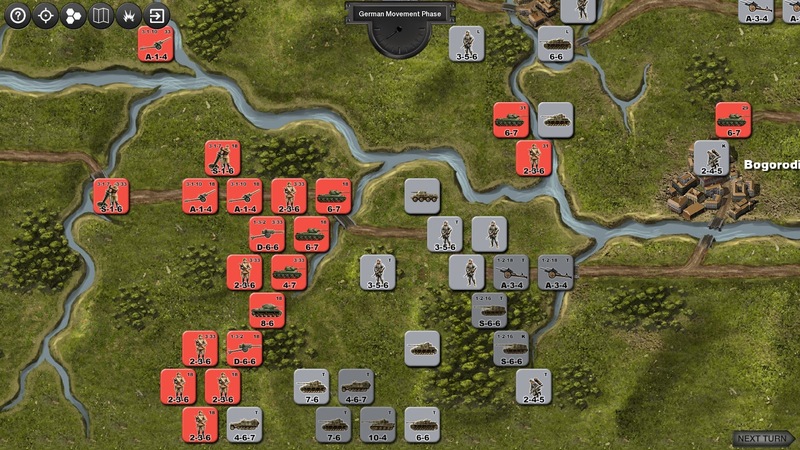 This war game should not be compared to the recent crop of Panzer General clones or other games using hexes and turns in an attempt to legitimize themselves as war games. 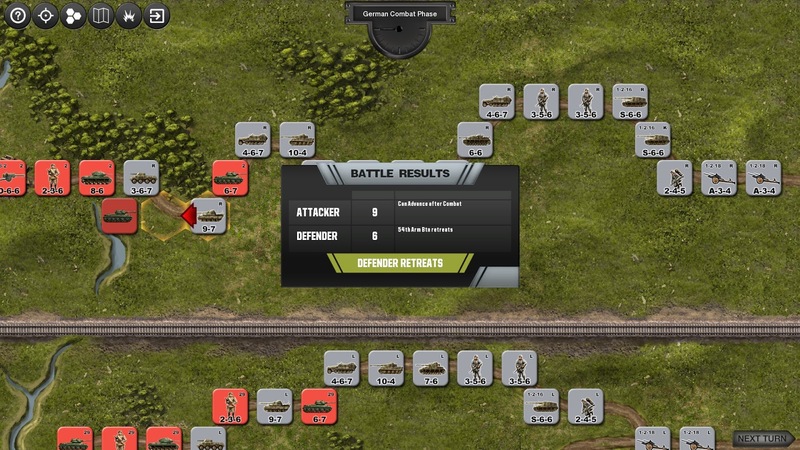 Kursk is an old school war game, from times where design for effect was a craft that was not only needed but demanded by the hobbyists. This war game was reviewed last year by the late Jim Cobb. 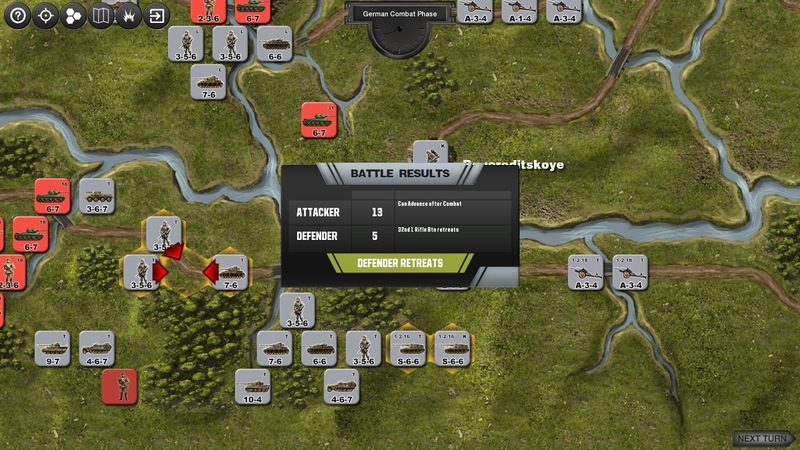 You can acquire Kursk from Steam (U$ 12.99) or directly from Yobowargame at a cheaper price. The game features hotseat and solo playing as the Germans only. 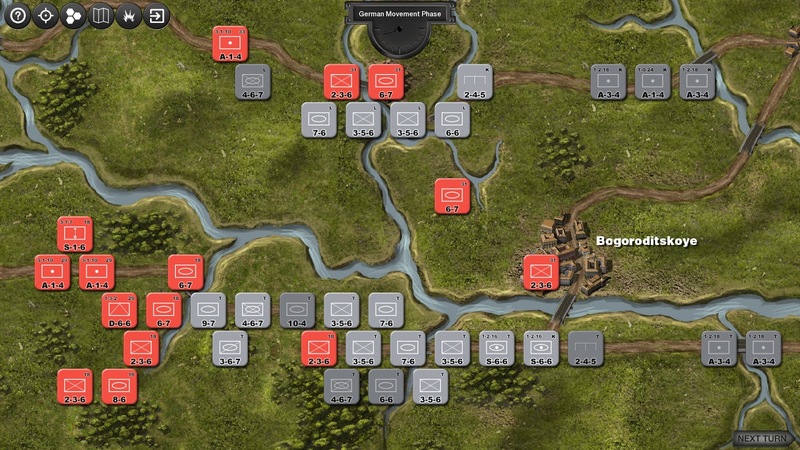 There are 3 scenarios only and the units' size is a battalion. It is worth mentioning that there is no tactical air support and that one particular game mechanic (penalty for attacking into a woods hex) is sorely absent. In addition to that, there is no map zooming and the scrolling by dragging the map is a bit cumbersome (fortunately the maps are relatively small). But the redeeming fluid-game play, the evident reward for using good grand-tactical approaches and the challenging scenarios are worth the price of admission.